A brilliant site - and long overdue! I may be able to update some of the gig information in due course, although I didn't see the band 'live' until the Shoreditch gig with Shamelady and Genesis. I can't remeber exactly how many gigs I attended, but I was at the final Barbarell as show in Birmingham. Steve Parker sent me a letter a few days later to let me know the band had folded. I continued supporting Jill through Brandy and later Shakatak. I met Dave Bell a few times during the latter years, but lost touch with everybody else. Having looked through the gig list, I can recall attending around 40 of these. My first gig was at Shoreditch Town Hall on 29/6/72, where the band supported Genesis. None of the three acts on stage was given time to do a full set. I managed to get to virtually all of the gigs at The Marquee from that time onwards. I was the joint promoter of the two Church House gigs in Newport Pagnell on 20/1/73 and 25/8/73, which Steve Parker agreed to do as a bit of a favour. I was fortunate enough to have been at Barbarella's in Birmingham for the very final gig. Sorry - it's me again! I can confirm that the Marquee gig in October 1972 was on the 12th if you want to update the gig list. Also Stan's last gig with the band was at the Marquee on 21st June 1974 - this was announced beforehand in FO Newsletter No 3. I have copies of the early newsletters, which appear to have been produced on Steve P's duplicating machine! Subject: A gig that I attended when I was 15 . . .
Subject: fusion orchestra of course! Subject: Fusion Orchestra gig at The Amethyst Club Preston. From 1969 to late 1973 I ran the Amethyst Club in Preston. 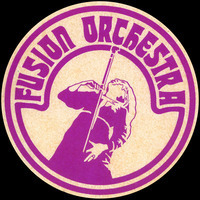 Fusion orchestra appeared at the venue on 14th Sept 1972 for a fee of £35.00. The band put on a great performance. All excellent musicians and Jill had quite a few of the guys in the audience pretty 'Hot under the collar'. Still have my copy of Skeleton in Armour. Best Regards - Phil Eaves. HOLA COMO ESTAN, SALUDOS DE MEXICO, SOY BATERISTA, Y PUES LA BANDA Y YO ESTAMOS DE ACUERDO EN HACER UN COVER DEL CD SKELETON... PERO NO HEMOS ENCONTRADO TABLATURAS O PARTITURAS EN INTERNET. ES DEMACIADO PEDIR SI NOS PUDIERAN AYUDAR CON LA DIRECCION ELECTRONICA PARA PODER ENCONTRARLAS. NO TIENE MUCHO QUE YO ESCUCHE EL DISCO TENDRA COMO 3 MESES Y EN LO PERSONAL ES LO MEJOR QUE HE ESCUCHADO; USTEDES ME DIERON PAUTA A CONOCER MAS SOBRE EL ROCK PROGRESIVO EL JAZZ Y CONOCER MAS RITMOS PARA SU MEZCLA. ESO ES TODO SALUDOS DESDE MEXICO, ESPERO ALGUN DIA PUDIERAN AVIZAR SI ES QUE VIENEN A DAR CONCIERTOS EN MEXICO GRACIAS HASTA LUEGO! BYE! I saw the classic FO lineup in 1973 at Sunderland Locarno and was bowled over. I subsequently saw the band with Paul Jennings and Martin Slavinec (Reading Uni)and Alan Murphy (Marquee), where I recorded some of the songs on a basic portable cassette player and am looking for the tape now! I have quite a few publicity photos, one signed, a few flyers, stickers and newsletters from the management. Also an unplayed copy of the single! I was quite a fan. Will keep an eye on the site and send you a copy of the Marquee tape if it's good enough to convert to MP3. Dave Gallagher.